Bev Olfert has been involved with the AYC for many years. She started at the AYC as a volunteer, later she worked as a program coordinator and in 2003 she was hired as the Executive Director. Before coming to the AYC, Bev worked in various programs serving children, youth and families at Abbotsford Community Services. These days Bev spends most of her time writing emails, going to meetings and generally looking after the day to day functioning of the AYC. Christy Friess feels like she is one of the lucky ones who knows she is meant to do exactly what she is doing! As the Supervisor of Recreation she is able to connect with youth and help them better their lives through AYC programs. She also gets to use her experience and share her knowledge when helping to develop staff members into successful youth workers. Kenyon has been working with the AYC for almost 3 years now. He started as the Team Lead at the MRC Youth Centre and then moved over as the Team Lead to the ARC Youth Centre. 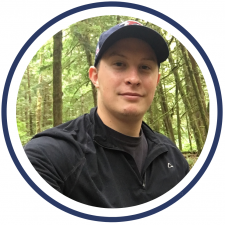 Kenyon is from Vancouver Island where he received his University diploma in Recreation and Sport Management. He has a variety of experience working with children and youth which has made him a great Team Lead for the AYC. The thing Kenyon enjoys the most about working with the AYC is that he gets to be a fun, positive male role model for the youth. 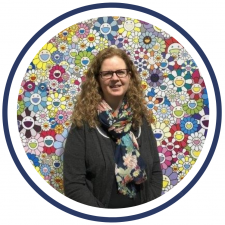 Mandy started with the AYC in September 2017, and only a few months before this she moved to Canada from England, where she worked with children and young people as a Community Recreation Officer. She has worked in various different settings and programs with youth for over 20 years. 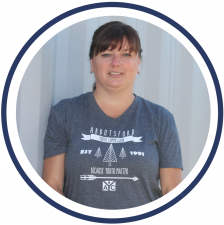 Mandy is passionate about making a positive difference in young people’s lives, and hopes she can use the skills and knowledge obtained over the years to support and engage with the youth of Abbotsford. New to the AYC family is Faith. Her 10+ years at home raising her teenagers make her very passionate about youth and what matters to them. The most rewarding thing she has ever done is nurture them to adulthood and she is now excited to enter the next phase of her life contributing to an organization that helps youth in Abbotsford. Karen was excited to join the AYC crew in the Fall of 2017. She has a passion for graphic design and social media and loves the creative process. Karen has been active in the community in the area of youth mental health, and understands the important role recreation plays in wellness. Karen is in the office on Wednesdays, Thursdays and Fridays and would love to answer any questions you have about the AYC! Interested in becoming a board member? Download the AYC Board of Directors Application or Call for Nominations to apply.